Real talk, I am SO EXCITED about this book! The instant that I saw the synopsis for William Ritter's new book, I was smitten. 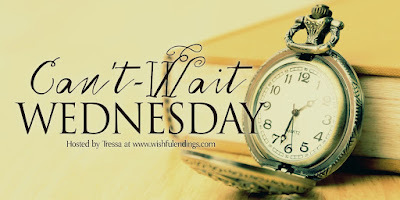 I have a soft spot for middle grade at the best of times, but when those books are also filled with fantasy? You have my heart. I cannot wait to dive into this and, lucky me, I have an ARC to read! HUZZAH! 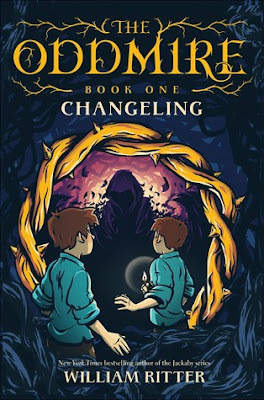 The first book in an action-packed fantasy adventure series featuring witches, shape-shifters, and other creatures of fairytale and folklore, including two brothers—one human and one a goblin changeling—on a life-changing quest into the Oddmire. Tinn and Cole are raised as human twins, neither knowing what secrets may be buried deep inside one of them. Then when they are twelve years old, a mysterious message arrives, calling the brothers to be heroes and protectors of magic. The boys must leave behind their sleepy town of Endsborough and risk their lives in the Wild Wood, crossing the perilous Oddmire swamp and journeying through the Deep Dark to reach the goblin horde and discover who they truly are. 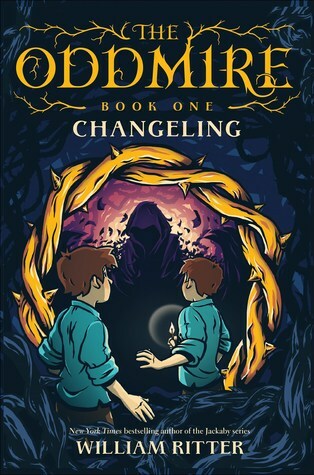 In The Oddmire 1: Changeling, the New York Times bestselling author of the Jackaby series brings to life a bold new adventure, the first in a series about monsters, magic, and mayhem. This releases on July 16th and I am SO EXCITED. I can't even hide it!